March | 2009 | Life, Music and the Web… Revived! can you feel it lately? well i do… in fact it is under my skin. This entry was posted in Personal on March 30, 2009 by Marco. you had it right my friend. damn, why did it happen at this time when i feel like I really want to go out and have fun coz its “Araw ng Dabaw”. Anyways, I had felt this condition for sometime already. I just neglected it thinking it was just maybe due to stress and perhaps some pressure towards work and many more unwanted feelings and problems that just happens like it is to each one of us. I am talking about my heart, yes my damn heart. I never thought i had a weak one. Well considering i havent exercised lately since i last ride my skateboard around early January. Too bad, i should have. There was a time when i was into jogging on early mornings i was quite surprised why my heart seems to explode when in fact i ran only a few meters. I said to myself maybe it was just due to the fact that i haven’t been into an extraneous exercise on the same level recently and also maybe it was because i occasionally smoke and drink but when that happens, i drink and smoke like there is no tomorrow (what a shame!). Though there were some thoughts that lingered in my mind that maybe something is wrong with my heart, but it never did occur to me that it will worsen in the immediate future. Damn i was wrong! So how did i knew? It was just last tuesday, when i felt dizzy and felt that my chest have been pushed down by some weight (though not really on the extreme), I also have trouble breathing. It was maybe past 6pm when me and my girlfriend mimi went to the dining table to eat that i felt really dizzy and decided not to continue and head to the sala and lie on the floor and maybe hope the condition eases. And then i told my mama about it and she said maybe it was just “panuhot” but my gut tells me otherwise. I insisted not to go to the hospital because i was very afraid that the doctor might say “he is a candidate for open heart surgery!” Shhhyyyt! give me a shotgun now and im gonna blew up my own head! well still they convinced me to go to checkup and i was really terrified of the thought. And they accompanied me at SPC, My mama, papa and my gf mimi. Ma and mimi went with me inside the ER and then i was under check up and the doctor said that i will undergo ECG. what the hell is that? Am i gonna be put inside some machines and have my heart run thru a computer. Thank God that wasnt the case, it was just some devices clip to your chest and some parts of your body and it will produce lines about your heartbeat. Hell i have no idea what is that. So afterwards, the doctor told me and my mama that im not gonna be on a heart attack! that it seemed normal. phew! I was relieved. The doctor said that it MAYBE a muscle congestion. which probably is a lighter case. im kinda relieved. so we went home and bought the medicine and i took em and now im slowly recovering. I have consumed all my meds and i hope my case would not worsen. I will stay away for awhile on some activities that might cause stress and perhaps stop those late night gimmicks. Cut the cancer sticks, the booze. In short my life will be miserable for sometime but what can I do. and oh before i forgot, that incident might have triggered by what I have been doing the night before. I was drinking with my friends Morn, Sandi, Irvin till 5am take note 5am! When i arrived home my mama was already preparing breakfast. I told you, when i drink I drink like there is no tomorrow. So just a head up guys, you might be surprised I will not be on a drinking session for a long while. Since currently, i can still feel that there is somehting not right with my heart. My mom told me we should go to a specialist and i didnt agree I just said that its just ok if I just took some timeout and let my heart recover. something like sleep early for a month and just read some good books and watch movies, stress-free!. Afterall i know that whatever happens, It will all be God’s will. This entry was posted in Family, Personal, Rescued Post on March 14, 2009 by Marco. holly molly!… i was just amazed today knowing that i break again into top 15 in the scriptlance ranking… The last time I remembered some friends told me why I lost my ranking. Then i told them it was because i wasnt as active recently as i was before since im in a rest mode. But then again this past weeks, many clients went on my way and requested projects to be done and so I was up for the challenge and there it Go. Gladly i finished the projects with the help and grace of the almighty God. Thanks God for giving me the courage to never back down on the projects though it seemed impossible for me to do them! 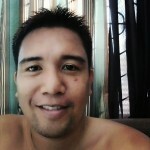 This entry was posted in Personal, PHP, Rescued Post on March 5, 2009 by Marco.